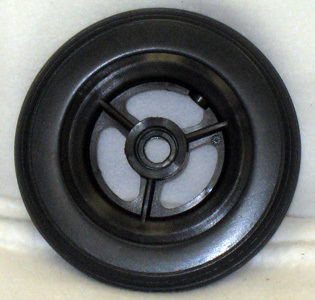 3 spoke mag caster with 1" Hub. 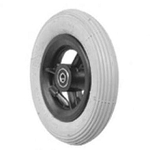 Urethane round tire. Takes B10 bearings. Each wheel takes two bearings.